The air in the such high mountain is really clearly and the atmosphere, too. 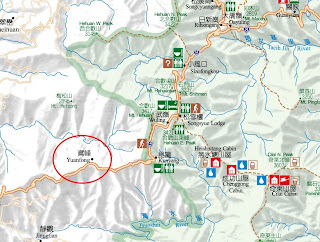 Yuanfong is a place where you can easily find amatuer astronomers doing their observation or astronomical photography there, no matter which season. They often bring very expensive instrument to observe the night sky. If you want to take a look the night sky from their telescope, don't be afraid, just go and ask. Generally, people who love astronomy are friendly. They usually willing to share with people who also interested in astronomy. I think that it is because when you go outside and doing observasion, you can't without other peers' help. Or you have to setting the instrument alone, cooking alone, setting tent alone and packaging alone. You have to cooperate and share with others. I think that is what makes astronomy lovers friendly. Before you go there, you should package more clothes to keep you warming. No matter in summer or winter, the temperature of night at the high mountain will be very low. I suggest you can take some hot chocolate or hot milktea drinks with you, because they are really useful when you feel cold and begin shivering! I have post some useful links about astronomy before, and now I want to post more. It provides the professional astronomy knowledge. It provides general knowledge of astronomy. Hubblesite, as it's name, it is a website about all of Hubble. Included lot of unbelievable and unforgettable images. I put the website from general to professional, hoping you enjoy these websites no matter who you are and love astronomy! !